In early January, Nepalis celebrated Unity Day, also known as Prithvi Jayanti. This is a public holiday dedicated to Prithvi Narayan Shah, the first king of unified Nepal and the founder of Shah dynasty of Nepal. Prithvi Narayan Shah was born on January 11, 1723 (the 27th day of the month of Poush in Virkam Samvat, the official Hindu calendar of Nepal). He was a prince of the Gorkha Kingdom. From a young age, Prithvi Narayan Shah took interest in state affairs and soon began to take on some responsibilities. Prithvi Narayan Shah ascended to the throne at the age of 20, following his father’s death. He almost immediately began to fulfill his dream of creating a unified Nepalese state free from British influence. One by one, he conquered small principalities in the Kathmandu Valley and annexed them to the Gorkha Kingdom. Thanks to his unification campaign, Prithvi Narayan Shah created a strong kingdom able to withstand British forces. 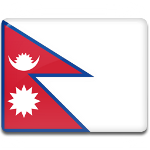 The Kingdom of Nepal was officially formed in 1768. Prithvi Narayan Shah became its first king and the founder of Shah dynasty that ruled the Kingdom of Nepal until the abolition of the monarchy in 2008. Unity Day in Nepal is marked with a procession and a flower laying ceremony held at the monument to Prithvi Narayan Shah in Kathmandu. Some political parties organize receptions and other official events to celebrate the holiday.